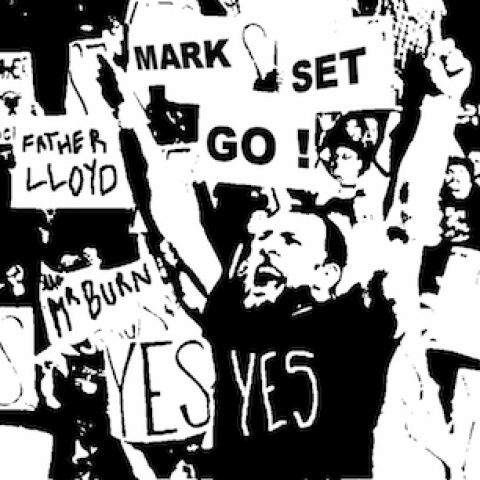 Moving Forward/This Week in the WWE – Welcome to the official home of the Mark Set Go Podcast! Overall, I think Monday Night RAW was pretty good this week. I am only going to talk in length about one portion of the show in particular, because it was pivotal to the success of the show this week: The New Universal Champion Roman Reigns made his way to the ring to recap what he did the previous night, it got a lukewarm reaction from the crowd but that quickly turned into all out cheers when he said that he would be a fighting champion and defend the title in the main event that night. His opponent would be the man that originally won that title in the very same building two years prior: Finn Balor. The Irishmen finally got his long-awaited rematch that has literally been two years in the making, since he had to forfeit the title the next night due to injury. The Constable Baron Corbin didn’t agree with this match and was about to say he was going to have a match with Balor instead, when GM Kurt Angle came out to say that he liked the idea of the main event and scheduled a match for Corbin against Bobby Lashley (which he lost). The title match in the main event was fantastic. For some reason Balor and Reigns have amazing chemistry with each other, and always deliver when they have a match together. Braun Strowman showed up in the middle of the match to cash in yet again on whomever won the title and did so when Reigns countered a Coup De Grace by Balor with a spear to retain. However, before the bell rang, the familiar sound of “Sierra, Hotel, India, Echo, Lima, Delta, SHIELD! !” roared throughout the arena and Reigns’ brothers in arms Seth Rollins and Dean Ambrose arrived in full Shield gear to take out Strowman and combined for a triple powerbomb though the announce table for good measure. The Shield once again reunited to close the show in one of the more memorable endings that I can remember in recent memory. The Riott Squad defeated Sasha Banks, Bayley, and Ember Moon. Kurt Angle tells Paul Heyman that it will be “a cold day in hell” before Brock Lesnar gets his contractually obligated title rematch anytime soon. Triple H explains why he is facing the Undertaker one last time at Super Showdown. Dean Ambrose defeats Dolph Ziggler in his first match back from injury. Curt Hawkins is defeated by Elias to extend his losing streak. The Authors of Pain defeat Titus Worldwide. New Women’s Champ Ronda Rousey puts Stephanie McMahon in the armbar yet again. Both members of the Revival each defeat a member of The B-Team in singles matches. SmackDown Live on the other hand was not as delightful. However, there was a standout performance by Becky Lynch on the mic this week. She went to the ring to tell everyone off for not supporting her all the way like she deserved and voiced her frustrations regarding her former friend Charlotte Flair. It is still going to be hard for her to go full heel here, even with her cutting down the crowd, it made no difference. The crowd was firmly behind her still and agreed with everything she said. This led to Flair running to the ring to begin a brawl between the two that caused the rest of the women’s locker room to come and attempt to separate them. I’m on board for this feud as long as it leads to many matches between them because these two are amazing in ring performers and haven’t had a go at each other in years. The Miz mocks Daniel Bryan’s initial retirement and leads to the announcement of Bryan and Brie Bella against Miz and Maryse at Hell in A Cell. Jeff Hardy purposely gets DQ’d against Randy Orton and then beats him up all over the arena. Rusev and Lana defeated Andrade Almas and Zelina Vega in mixed tag team action. AJ styles is beaten down by Samoa Joe during an interview. The New Day defeated the Bludgeon Brothers to become 5x tag team champions. Noam Dar defeated TJP with a shining wizard. Known wrestling fan and rapper Wale joined the commentary table. Drew Gulak interrupts a match to demand a rematch for the Cruiserweight title. Lucha House Party defeated Tony Nese and Buddy Murphy. Bianca Belair defeated Deonna Purazzo. UK Champion Pete Dunne successfully defended his title against Zack Gibson.